Arrghus is a Boss from Zelda 3: A Link to the Past and guards the second crystal in the Swamp Palace there. 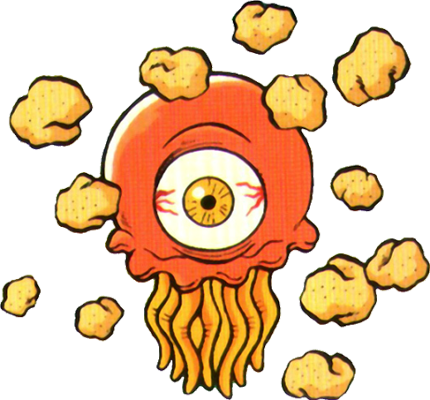 He is some kind of a large Jellyfish and surrounded by many “mini” polyps which are called Arrgi and are protecting Arrghus at any cost. 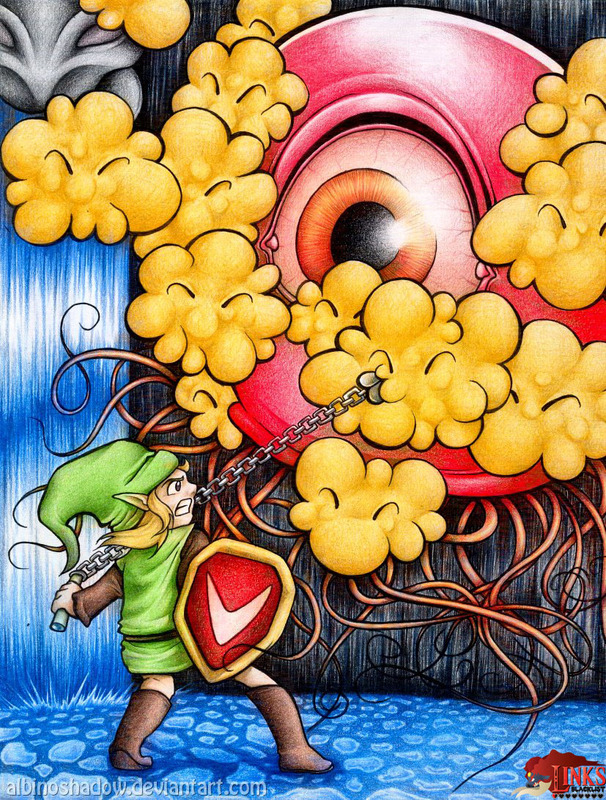 Like illustrated in the artwork by Arttimo Verne, Link must use his hookshot and defeat the Arrgi using his Master Sword. 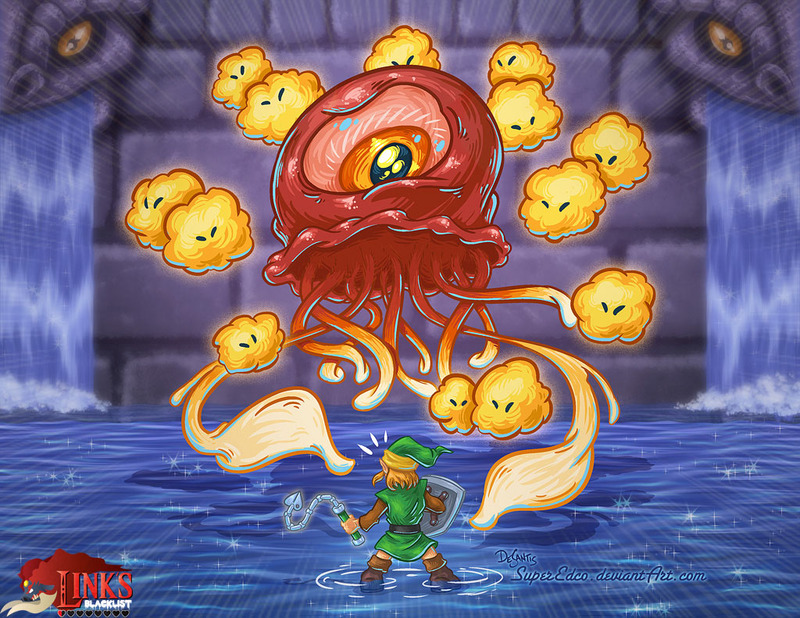 When all the Arrgi are defeated, Arrghus will launch itself into the air and start attacking Link from above. 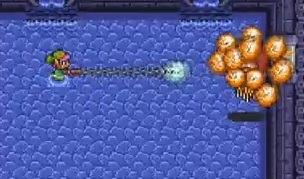 Link must show fast reactions to win this battle. Arrghus returns in a very similar design and battle in the Four Swords Adventure. 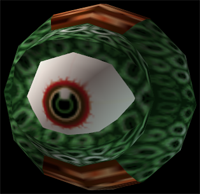 In Japan the name of Arrghus is Wart and he returns under that name worldwide in Zelda Majora’s Mask. It has a relative different look there though.